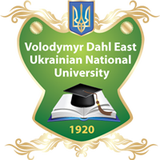 East Ukrainian National University Volodymyr Dahl entry requirements are different for each course and each level of study. Our course search can help you to select the level of study and course appropriate for your study plans.It is important to research all options, as higher entry requirements do not always mean that the course is of higher quality. Look at career outcomes of previous students, life on campus, the reputation of the institution and faculty, and other factors to make sure you are getting the best course for you. For student who wants to study in preparatory department are offered 10 months academic study of Ukrainian language or Russian Language. This will be the main language of teaching, as well as a possibility to improve their knowledge of the main subjects according to the future Degree. After your preparatory course you will have to continue your choice of course either in Russia or English medium of Instruction. Admission requirement for Undergraduate or Master degree can be use for application. Admission to Ukraine Bachelor Degree program requires High School Result or Certificate and your International passport. An applicant is supposed to pass, with good grades with not less than five credited subject. To apply you must fill the online Application form and send us your scanned copies of your International passport and School result to our email. Undergraduate’s applicant should not exceed 26 years. Admission to Ukraine Master Degree program requires University Bachelor’s Certificate with good grade. Post graduate applicants should fill and submit an online Application form and send us scanned copies of your International Passport, Result/Certificate to our email. Postgraduate applicant should not exceed 30 years.